Data is one of the most valuable assets of any organisation. Companies and organisation spend a lot of time and money to ensure that their data remains safe and accessible in a timely manner. Protection against virus attacks, unauthorized access and manipulation among other data security threats is critical to ensure that your data is always available in its useful and meaningful form. Data loss can be catastrophic for any business or company as it can damage your brand reputation, annoy your loyal customers, and even result to huge losses in terms of revenue. According to a recent research by BCN, approximately 60% of businesses who are victims of data loss end up closing down in 180 days. This makes data loss prevent a fundamental aspect of any organisation. To make it even more necessary are the new GDPR laws for companies collecting and handling personal data in EU countries. Although data loss may at times be unavoidable, there are several measure and precautions that can be used to effectively prevent data loss or damage. It advisable to equip yourself with the right tools like Ottomatik backup & recovery solution. The first important step is to understand possible causes of data loss and then come up with a way to either prevent or recover your data after such an event. Hardware Failure – Computers are our main data storage points and just like any other electronic, they can breakdown due to various reasons including overheating, calamities such as fire or flood, power surge, virus attack and corrupt files and software among others. User Error – Every business transaction involves recording, updating, deleting data files from the business database system and as the old saying goes, “Human is to error”, we always make mistakes. It is possible for a system use to accidentally delete or overwrite data files in the system. Though some systems are made with security features to minimise such occurrences such delete warning messages or a trash bin, we still make this mistakes which can be very costly at times. Computer Viruses/ Malware – Another common cause of data loss is virus/malware infection. Though the internet is such an important resource for your business, it also poses a big threat to your business. Virus and malwares are distributed to internet users through emails and phishing and can delete, encrypt data files or corrupt the whole system. When you can stop these by avoiding clicking suspicious email links or visiting malicious websites, it can be hard identify them so prevent your business is better and effective. Theft or Hardware loss – It is also possible for your computer systems to be stolen in which case the thief goes away with you data. With modern GPS tracking technology, you may trace and recover your hardware, but it can be too late as the thieves may have already cleared the data. Backup your Data – The golden rule of data security is maintaining a backup. This simply means keeping a copy of the original data in a different off-site storage point but this should never be mistaken with putting your data files in an external HDD or flash drive. There are some tools such as Ottomatik Mysql backup which can be effective in backing up the whole database system including the log files. Such solutions include features such as automatic backup; streaming uploads and backup restoration among many others which enables you to recover all or part of your data back in case of loss. It is also critical to verify the data after backing up to ensure that it is consistent with the system data as well as to schedule automatic backups to update the backup files. Backup should enable you to restore all types of system data including emails and other system files. Stay Free from Viruses and Malware – It helps to use updated anti-virus software to keep Trojan, computer viruses and malwares at bay. It is also important to ensure that the anti-virus software have firewalls and is up to date to guarantee online protection. Email security will also protect your business against phishing, spam mails and hacking. Since modern business involves use of mobile devices, it is important to have a mobile data security solution to protect data loss for user mobile phones, laptops and tablets. Also developing good internet usage habits such as refraining from unknown or suspicious website can prevent virus and malware infections. 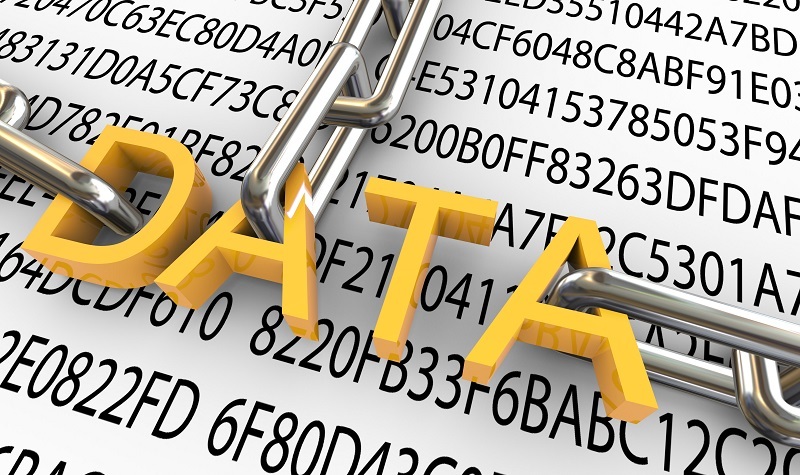 Data Encryption – Data encryption is a type of cryptography which uses complex algorithms to scuttle information in a way only the data owner who can decode the data using a cipher. Businesses can use either symmetric or asymmetric encryption to protect unauthorized access to sensitive data. The mechanism is used together with other security solutions to ensure that data is never stolen while being transferred or store in the system. Data encryption is a proven data protection tool and prevents financial loss with regard to data recovery expenses. No matter the size or the nature of your organization, data loss can be very costly it is better to prevent its occurrence than to spend millions of dollars on recovery solutions. The above three rules can come handy to keep your data safe and accessible at all times.